In this book, he combines ancient wisdom with decades of experience to provide twelve profound and challenging principles for how to live a meaningful life, from setting your house in order before criticising others to comparing yourself to who you were yesterday, not someone else today. 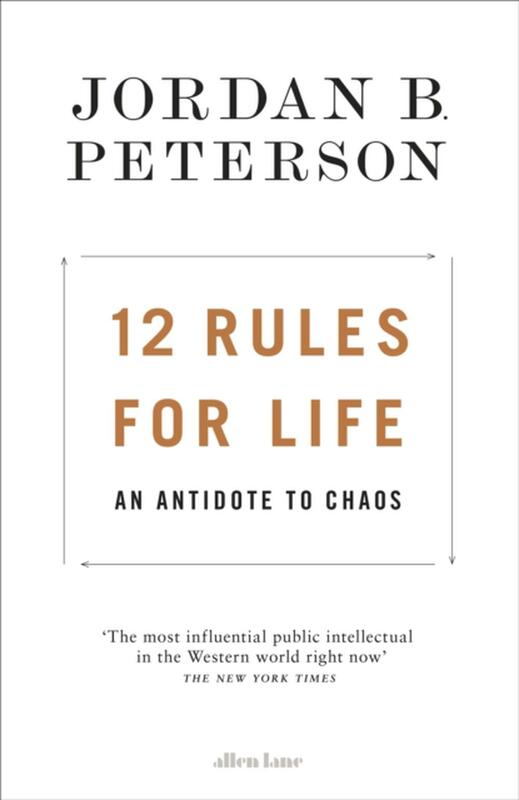 Gripping, thought-provoking and deeply rewarding, 12 Rules for Life offers an antidote to the chaos in our lives- eternal truths applied to our modern problems. Jordan B. Peterson, raised in the frigid wastelands of Northern Alberta, has flown a hammer-head roll in a carbon-fiber stunt-plane, built a Native American longhouse in his Toronto home, and been inducted into the coastal Pacific Kwakwaka'wakw tribe. He's taught mythology to lawyers, doctors and business people, consulted for the UN Secretary General, helped his clinical clients manage depression and anxiety, and lectured extensively in North America and Europe. With his students and colleagues at Harvard and the University of Toronto, Dr. Peterson has published over a hundred scientific papers, transforming the modern understanding of personality, and his book Maps of Meaning revolutionized the psychology of religion. Now a tenured professor at the University of Toronto, where he is regarded by his students as one of three truly life-changing teachers, he was also nominated for Harvard's prestigious Levinson Teaching Prize.